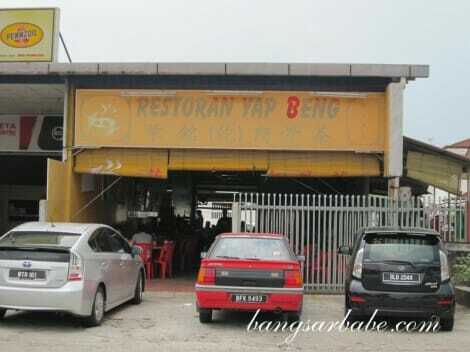 Looks like I have plenty more exploring to do in Klang, a town that never fails to surprise me in the food department. Just when I thought I’d tried most of the good food there, I was introduced to more food places by Rif and another friend on separate visits. I love soups and gravy, and more often than not, I would finish the broth faster than the noodles or rice. 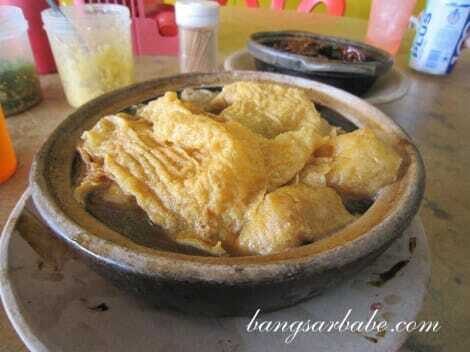 This is one of the reasons I prefer soup bak kut teh to the dry one. 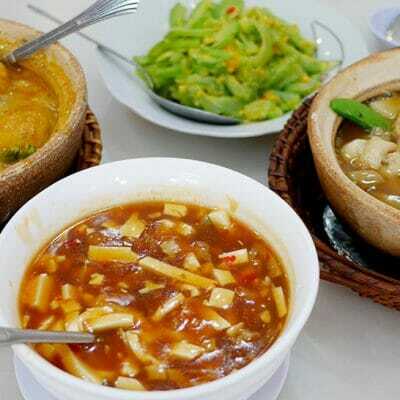 Yap Beng Bak Kut Teh is known for both its dry and soup bak kut teh so it made sense to order both versions. For the uninitiated, bak kut teh is a Hokkien soup of pork meat (spare ribs and pork belly), pork offal, beancurd and mushrooms in a herbal, almost medicinal broth. 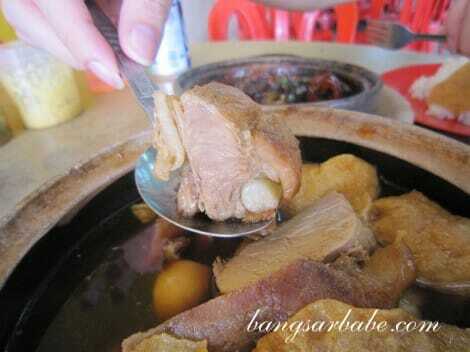 The soup bak kut teh (RM9 per portion) at Yap Beng had a good balance of flavours and aroma. The broth was neither too watery nor thick and had a lovely herbal fragrance without being overpowering. Each spoonful had just enough oomph and I had to stop myself from drinking all the soup straight from the claypot. For soup hogs like me, the shop uncle is willing to give a refill if you smile and ask him politely. The pork belly was meltingly tender and paired nicely with the herbal broth. Even the pork ribs were tasty and fell off the bone. I also enjoyed the tofu puffs which were chewy yet airy in the centre. A pity they ran out of oil crullers (yau char kwai) and it was only 11.30am when we arrived! I guess it’s best to go early or bring your own crullers. To me, the dry bak kut teh (RM18) was the highlight of our lunch. This dish comprised tender pork belly slices, okra and red chilli, cooked with dark soy sauce, Chinese medicinal herbs and possibly some dried cuttlefish for extra aroma. The dark soy sauce glaze was cooked to a caramelized state and well-coated the fatty pork belly. 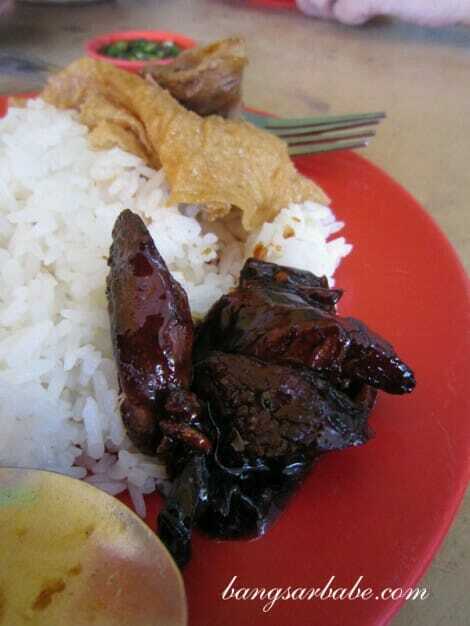 It was slightly spicy from the dried chilli and rich in flavour. 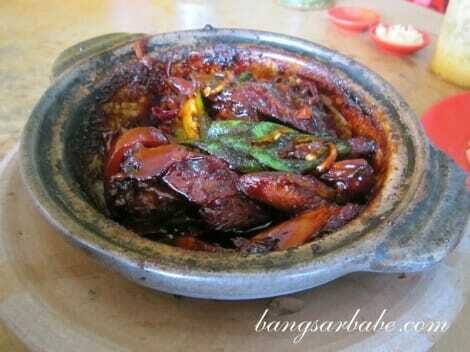 I used my spoon to scrape the remaining savoury-sweet gravy from the bottom of the claypot. Lunch came up to slightly over RM30 which was pretty reasonable in my book seeing how they were pretty generous with the meat. Read this in Star2Sunday HERE! Verdict: I’m definitely coming back for the dry bak kut teh. 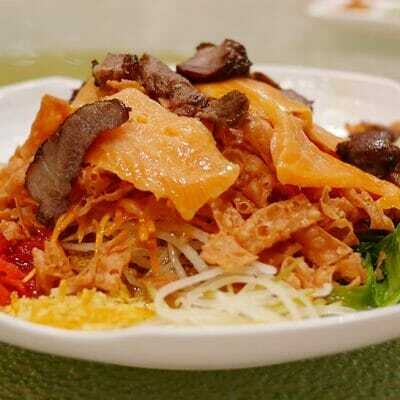 i wish i could savor the dry bkt. 🙁 unfortunately, i am banned from having bkt! !